Greetings from the House of Illness. With two young kids at two different schools, we're exposed, and I mean exposed - the older child has a penchant for mischievous licking and the younger one is still too young to wipe his nose - to a rotating roster of microbes. Cold, cough, stomach flu, regular flu - you name it, we've had it. But no measles, thankfully. 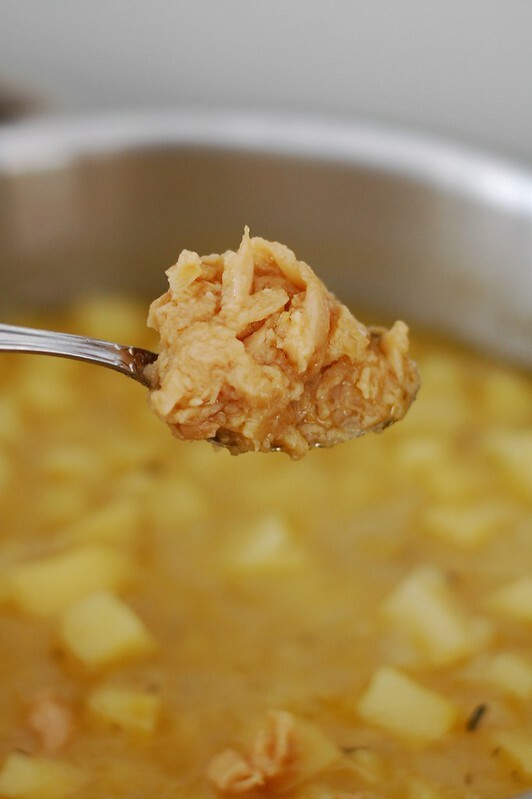 I've been making rather a lot of soup - chicken with matzoh balls and "fat carrots" like my grandma Mary used to make, good, old potato leek, curried lentil and sweet potato, and more. Then our little guy got the croup and my husband got the flu and I caught a cold. Time to bring out the big guns...GARLIC. 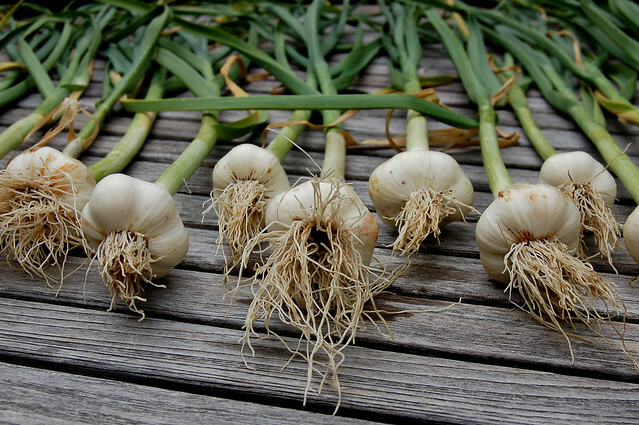 A lot of people believe that garlic has healing properties and can help prevent illness. Perhaps garlic has medicinal properties or perhaps it just works by keeping other people too far away to pass on any germs - who knows. But I love the taste and welcome any excuse to cook with it. Luckily, my mom gifted us six heads of garlic a few days ago. 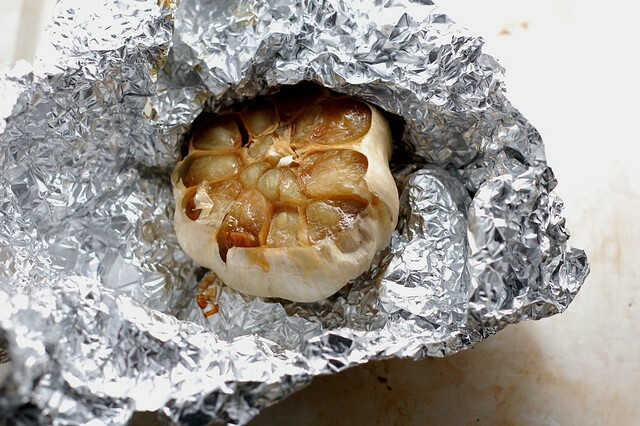 I wasn't quite sure what I wanted to do with them but I decided to wrap them all in foil and roast them silly. The smell that filled the house while they were roasting was INTENSE in a very good way. 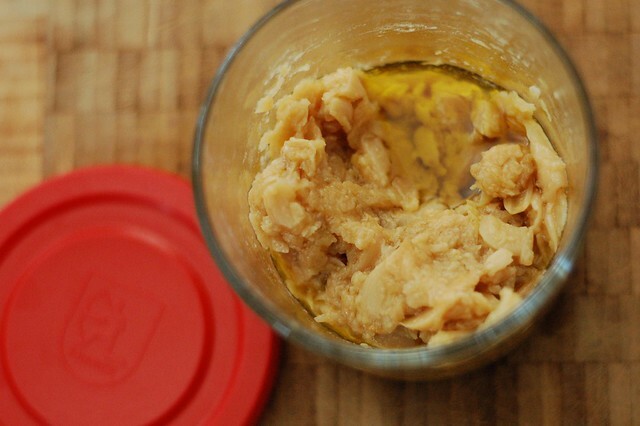 Once they'd cooled down, I peeled the cloves and squeezed the soft, fragrant stuff into a glass jar, mixed it with some olive oil and salt and stuck it in the fridge. 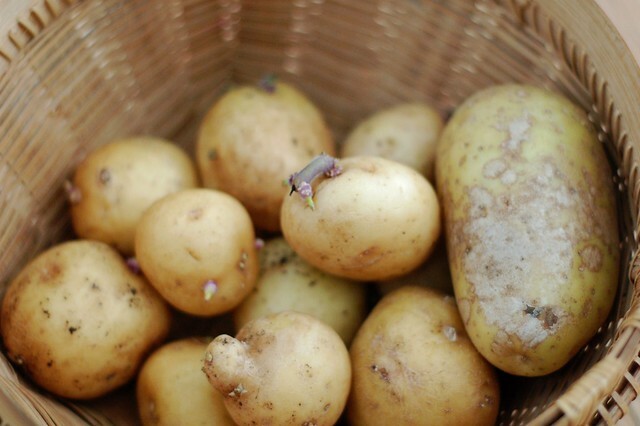 I'd been storing the potatoes we grew this summer in paper bags on a bottom shelf in our pantry. It's pretty cold and dark in there and they'd been keeping very well - no "rotten apples" or eyes. But then we went on vacation for a week and the kickspace heater in the pantry must've come on because we were not here to run the woodstove and it was coooold. By the time we got back, every single one of those potatoes had sprouted. In fact, it looked like some sort of alien invasion in those bags with long fuzzy arms snaking out of their heads and green buds beginning to sprout off the arms. So sad! I sorted them out and saved all the ones that were still firm enough to use. 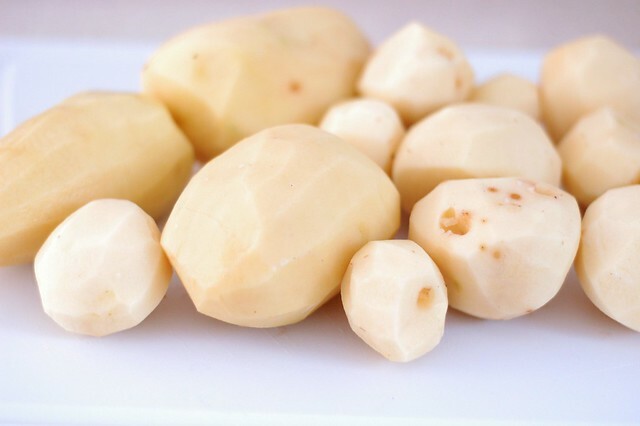 I peeled up this mess o' spuds using my favorite peeler, a simple Zyliss one . 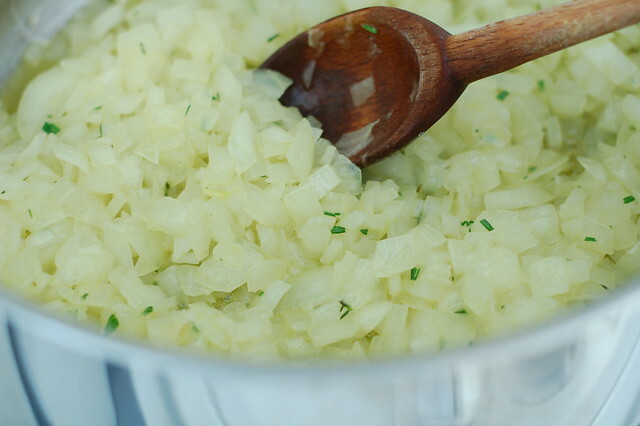 Then I cubed them all and chopped up a huge onion which I sauteed in olive oil in a soup pot. Once the onion had softened, I added the potatoes, tossed in a handful of chopped rosemary and thyme from our plants, poured in a big bunch of my homemade vegetable stock and let it simmer for half an hour or so. Then I added a couple spoonfuls of the gloriously roasted garlic, seasoned with salt and pepper and poured in some heavy cream. I pureed it right in the pot with the magic wand blender until it was smooth. Then I served it up to my husband who took a break from his coughing to scarf it down, making appropriately appreciative noises. 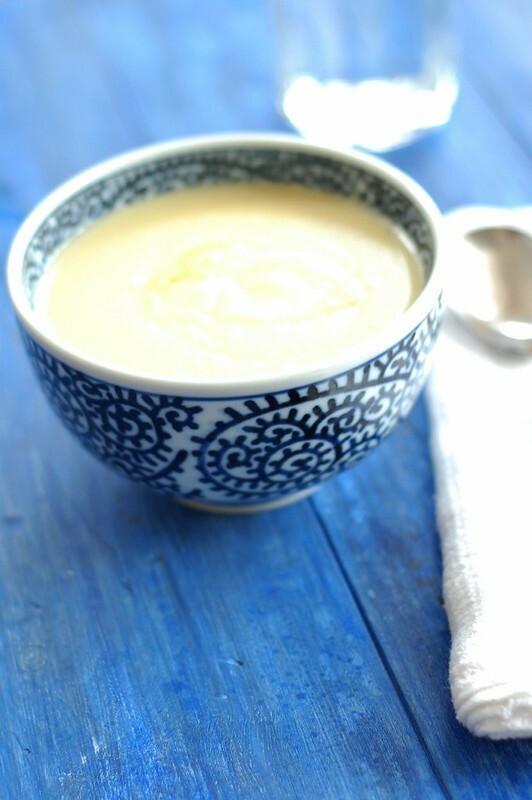 It is rich, sweet and nutty with the most sublime, mellow garlicky flavor. I went back for seconds. And licked the serving spoon clean before putting it in the dishwasher. 1. 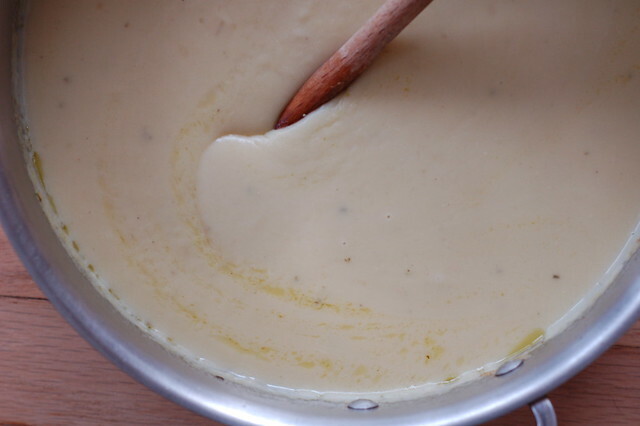 Heat the oil and butter (or bacon fat) in a large soup or stock pot over a medium flame and saute the onion, stirring frequently for 3-4 minutes, until softened and fragrant. Add the cubed potatoes and the chopped herbs and saute for another 3-4 minutes. 2. 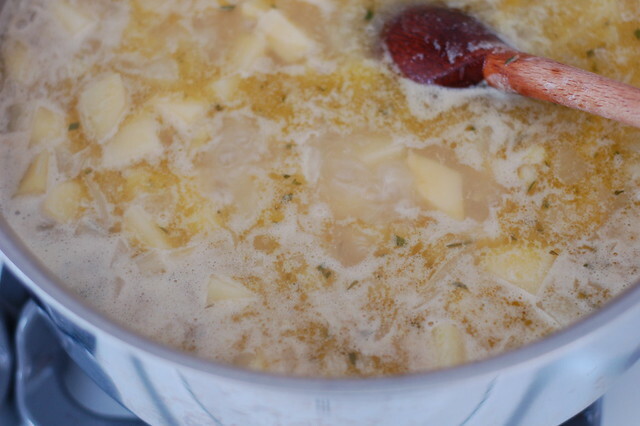 Add the stock and bring to a gentle simmer then cook, covered until the potatoes are cooked through - 25-30 minutes. Add the roasted garlic, cream, salt and pepper and puree until smooth. 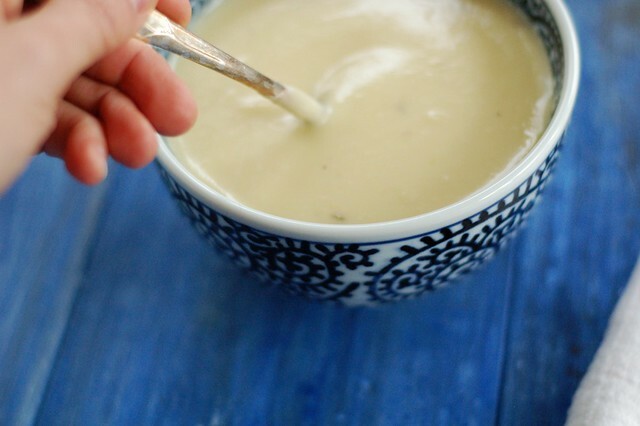 I love using my immersion blender for this task since it lets me do it right in the pot and is so easy to clean but you can also do this in batches in either a blender or food processor if you don't have an immersion blender. 3. Taste and adjust the seasonings to your liking before serving warm with crispy bread and a green salad. this looks and sounds amazing! must try soon.